The whole point of holding a meeting is to make it effective. And that is possible when you choose the right conference hall in the Everett, WA area. In order to engage your employees you need to host memorable, energizing and engaging corporate meetings, corporate trainings, corporate events, conferences, and retreats. One more reason to book our property for your corporate event venue around Everett is the affordable rates we charge. Give us a call and find out more reasons to reserve our conference hall for your corporate meetings. Do you wish your employees, associates, and clients to participate in a corporate event or meeting with full enthusiasm and interest? Choosing the right corporate event venue in the Everett community is the one way to attain that. Our corporate event venue is managed by a team of efficient coordinators. We will help you plan a corporate event that meets and exceed your expectations. Get in touch with us to learn more about the options and amenities we have available to make your meeting, no matter the size, a success. Big decisions are made in great spaces. Rent our meeting space in the Everett neighborhood to accomplish what you intend to at the meeting you are hosting. Our meeting space lends itself to inventive and cooperative meetings. You can achieve your goals by renting one of the meeting spaces we are offering. You just need to plan ahead and strategize. Let us know how you want your corporate event venue to be arranged. You will be pleased with the conference hall set up after we arrange it per your specifications. 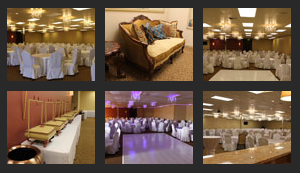 Book a corporate event venue in the Everett area by calling Royal Banquet and Conference Hall at (425) 956-4356 to. Enjoy a welcoming meeting space when you visit our property.